As a follow-on to our March 22 posting, Supply Chain Matters provides added highlights and supply chain and product management perspectives relative to the global-wide grounding of the relatively new Boeing 787 MAX aircraft. The aircraft manufacturer obviously desires to have grounded aircraft flying as soon as possible, but from our Supply Chain Matters lens, many additional hurdles need to be addressed. 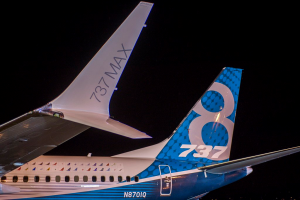 Boeing unveiled a software patch this week, along with other measures, in attempts to resolve the current global-wide gro unding of the 737 MAX family aircraft. Overnight, preliminary findings obtained from the Black Box data readouts of the recent Ethiopian Air disaster indicated that the suspect anti-stall autonomous control system was activated before the aircraft nosed-dived into the ground. Reportedly included in the Boeing software patch are changes in the aircraft’s flight controls, modification of the operation of the aircraft’s automated Maneuvering Characteristics Augmentation System (MCAS) system, and a means for pilots to gain additional training on interactions with the anti-stall software system. With the proposed software patch, the MCAS system will now rely on the readings of two ‘angle of attack’ sensors as opposed to one in the original design. If both sensor readings vary by more than 5.5 degrees, the system will reportedly be disabled, allowing aircraft pilots to take manual control. A warning indicator to the flight control display alerting to sensor mis-reading will now be mandatory for all MAX family aircraft. Previously, this feature was an option requiring airlines to pay an additional cost. Additional training will be provided to pilots, reportedly tablet based, as opposed to simulator based. On Wednesday of this week, some 200 pilots and industry officials were briefed on the proposed new changes and were asked to provide added feedback. These remedial action will require the approval and provisional certification of both the U.S. FAA and other global aviation regulatory bodies. Since the global-wide grounding, additional industry and media investigative reporting has occurred. 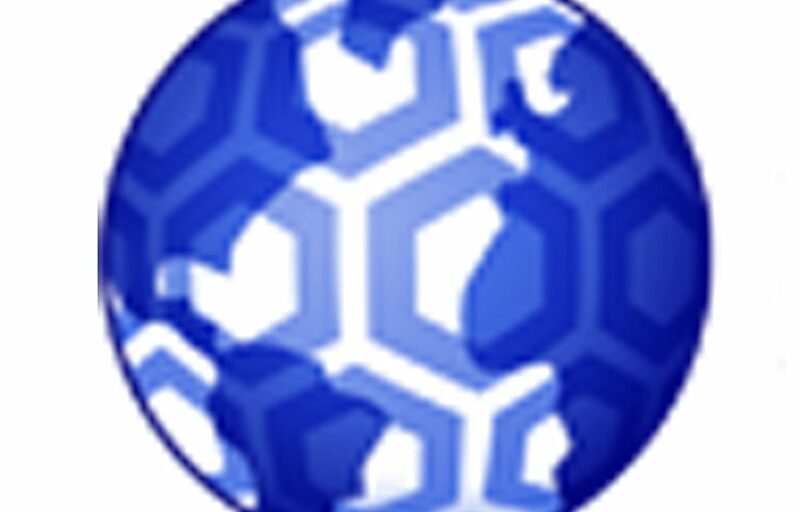 The Wall Street Journal published an investigative report (Paid subscription or metered view) yesterday indicating that according to the President of the American Airlines’ pilot union, after the first Lion Air tragedy, a senior Boeing executive told American’s pilots that they would not experience the sort of problems that doomed the Lion Air flight because the airline paid for the additional cockpit warning light that would have alerted to the problem with the sensor. Boeing reportedly indicated that the same executive could not recall making such a statement and declines to be interviewed. Both reports seemed to concur that Boeing was intent on minimizing any aircraft design changes that would have required added pilot simulator training, The WSJ report indicated that the company promised Southwest Airlines, the aircraft’s largest and designated launch customer, that it would keep pilot training to a minimum so the new jet could: “seamlessly slot into the carrier’s fleet of older 737’s, according to regulators and industry officials.” The WSJ report further indicates that MAX aircraft entered service before flight simulators were even ready for pilot use, if needed, and the few that have been since introduced cannot replicate the Lion Air malfunction. Simulators are reportedly set to be enhanced but such upgrades could be months away. Both reports, quoting pilots, safety experts and others, indicated that in practice, when an aircraft that is involved in a software controlled steep dive with emergency warnings blaring, it is unrealistic for pilots to be able to recognize and assess what is happening, let alone take corrective action. A separate report by the New York Times suggested that during flight simulations recreating the October Lion Air problem, pilots discovered that they had less than 40 seconds to override the MCAS system, before the aircraft crashed. In our prior update we outlined two important narratives and supporting action plans that we felt were essential for Boeing in order to move past this crisis. Regarding the first, remediating prior engineering and product design decisions, Boeing has moved quickly to this week’s milestone of identifying the MAX’s specific flight control problem and releasing a set of remedies. As stated, there are likely several additional weeks required to assure global-wide safety regulators that Boeing’s remedial actions are indeed adequate. Our guess is that the aircraft will not be flying until May or June while regulators make sure that no other actions are required prior to re-certification. Regarding actions of admission of prior mistakes or in-hindsight, shortcomings in aircraft flight control design systems, thus far, Boeing does not get high marks, neither in demonstrating a sense of transparency or openness. Yet, in the face of this week’s first lawsuit already filed, the counter narrative alleges that Boeing did not practice adequate design of this aircraft. On Tuesday, Boeing indicated that its internal assessment determined that relying on a single source of sensor data was acceptable and in line with industry standards because pilots would have the ability to counteract an erroneous input. Yet, many global wide 737 pilots have indicated that they had little or no knowledge of the existence of the MCAS system. Ethiopia’s air safety agency indicated that the Black Box audio recordings of the latest tragedy indicate that the pilot was desperately trying to reference the flight manual to ascertain how to override the autonomous actions. Bloomberg reported that the day before the October Lion Air tragedy, an off-duty pilot who had hitched a ride in the cockpit jump seat saved that flight by instructing the on-duty pilots on how to disable the MCAS system. The report indicated that apparently, neither of the pilots of that flight mentioned their incident after landing, except to log that the aircraft’s MCAS system required maintenance. The next day, the same aircraft, being operated by a different crew, reportedly faced a similar malfunction and a tragic result. On Wednesday, Boeing indicated to reporters the current software changes did not mean the original MCAS design was inadequate, but rather needed to be made “more robust.” As noted in the Seattle Times report, statements from former Boeing engineers and current employees that a singular point-of-failure is an absolute no-no state the obvious, yet Boeing’s public statements allude to the opposite. The aircraft manufacturer is defending its design upgrade decisions as contrasted to a complete redesign of the MAX version. The 737 MAX family’s market growth comes mostly from commercial aviation developing nations such as China, India, Pacific and Middle Eastern countries. Many of the region’s airline operators had aggressive plans for market and route expansions and likely placed orders to attempt to lock-in capacity, both for aircraft and for training qualified pilots. Yet, current investigative reporting indicates that Boeing’s attention was focused on the influence and comments of U.S. based airlines, American and Southwest who apparently sought a new model 737 that would not require additional pilot training. New developing markets require adequately trained pilots, especially when autonomous systems designed to augment pilot skills have false readings. Then there is the ongoing investigations as to whether the relationships between Boeing and the FAA were too close in obtaining final certification of this aircraft, or in requiring an earlier grounding after the preliminary findings of the Lion Air tragedy. There is obviously a lot more effort required by Boeing management to move beyond this crisis. As the WSJ reported today, global based airlines will likely revisit their buying commitments in the context of today’s economic factors, and in the assessment of how regional flyers will view the MAX aircraft as being a safe aircraft. Indonesia based Garuda indicated today that while the airline continues to believe in the Boeing brand, it no longer believes in the MAX product: “Boeing understands Garuda’s position and will study the possibility of restructuring the contract.” Indonesia based Lion Air originally threatened to sever ties with Boeing, and that customer relationship will have to be re-visited, as will Ethiopian Air, among others. There is the notion that a crisis can be viewed as an interim setback, that global flyers will eventually regain confidence in flying in a 737 MAX aircraft, and investors will once again be garnering financial benefits. Some Wall Street interests are already citing the former 787 Dreamliner lithium-ion battery fire related grounding incident as the benchmark. The converse is the inherent risk that former flawed decisions in software and flight control design, program management and pilot training needs, and relationship narratives with existing airline customers will haunt this program for many additional months to-come. Once again, Boeing’s supplier ecosystems are significant stakeholders in all of the current and future narratives.